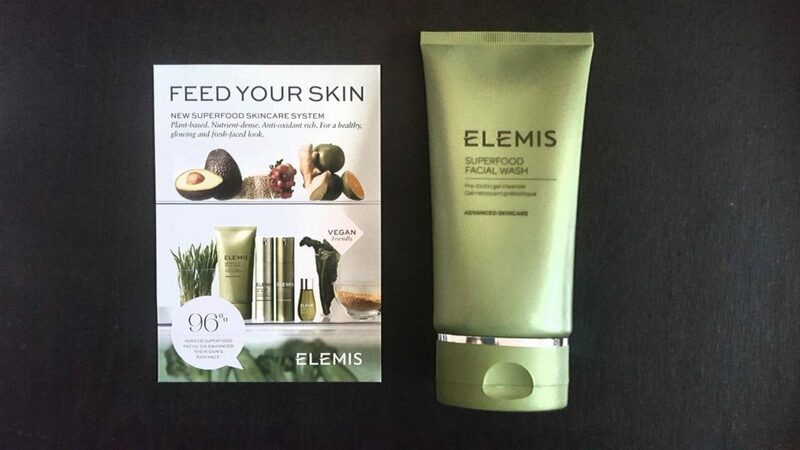 Elemis recently launched a new skincare range that is vegan friendly, and is suitable of all skin types. It contains prebiotics and superfood ingredients, so what’s not to like? Like many I was excited by it. I demand a lot from my cleansers, in that they need to cleanse the skin without leaving my skin feeling tight or dry, leave no residue, and the big test is a sweep with a cotton pad afterwards with toner, and if there is anything on it then it’s a fail. The Superfood range contains Avocado, Broccoli, and Pumpkin Seed, Chia Seed Oils, plus Wheatgrass, Nettle, and Kale to help nourish, and replenish the skin. The products also contain a prebiotic, which helps to feed products containing a probiotic and the friendly bacteria in the skin. To be honest it all sounds so good for you, but do you need it, and what do these prebiotics and probiotics do? Skincare has become advanced in that research is developing new ways to slow down the aging process, and also to heal problem skins. Pre and probiotics are useful for skins with problems such as acne, and that are sensitive as they can help to reinforce the natural skin barriers and strengthen them, but do you really need them? First, what do they do, or is a new buzzword in the beauty world? Prebiotic ~ helps to feed the friendly bacteria in the skin or to help products with a probiotic to work more effectively. In general they help to calm the skin. Probiotic ~ uses ingredients that are contain friendly bacteria that work with the skin’s natural bacteria that aid the natural defense barriers, therefore they help to protect the skin. Before you get carried away, a cleanser is on and off within a minute of two on the face, so the effects of either prebiotics or probiotics will be minimal compared to the effect or oils, serums, or creams. Those with problem skins are more likely to feel and see a slight difference over time, but for those who have trouble free skin, they are less likely to see or feel any significant difference. 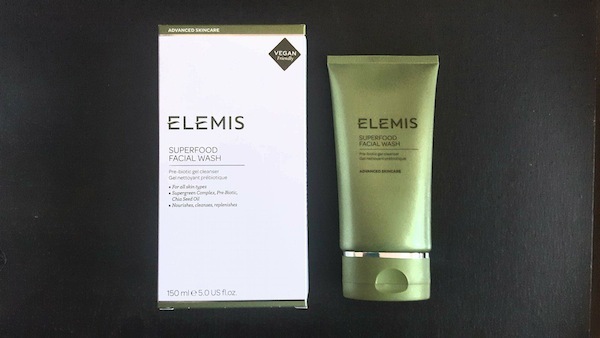 I’ve been a huge fan of Elemis for a while because their products work, and based on past experience I was willing to buy a new cleanser blind. I mean what can go wrong, as long as it cleanses it’s a fairly safe bet? However, you can react to cleansers due to its ingredients, or if they are too harsh and feel as if they have stripped the skin they aren’t so much fun to use. 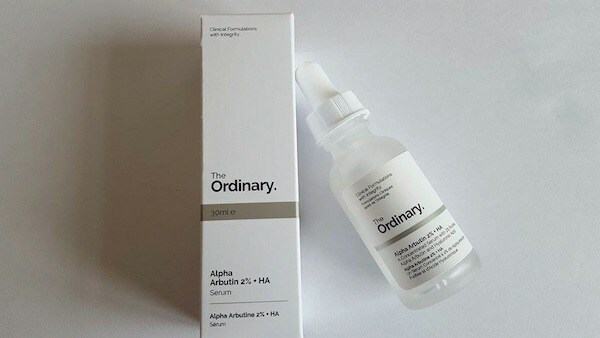 Priced at £25 ($36) for 150 ml/ 5 oz, I was expecting a lot from the cleanser and I was disappointed. 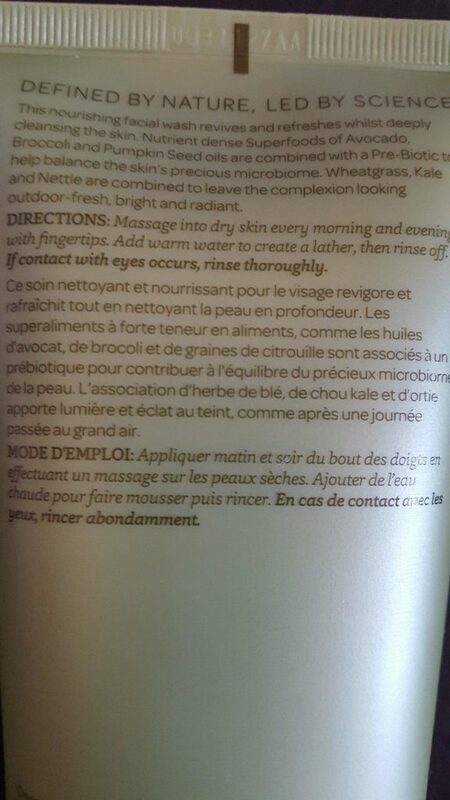 First of all, the instructions on how to use the product conflicted with the packaging and the instructions on the Elemis website. On the tube it states that you should apply it to dry skin, and then add water to lather and then rinse off, yet the instructions on the website recommend you mix with warm water to create a lather, and then apply to the face and rinse off. The latter is the normal way to use a gel cleanser that foams and I tried both ways, alternating morning and night to see the results. I would not recommend using the apply to dry skin method as you end up using too much product, and creating more lather than necessary. 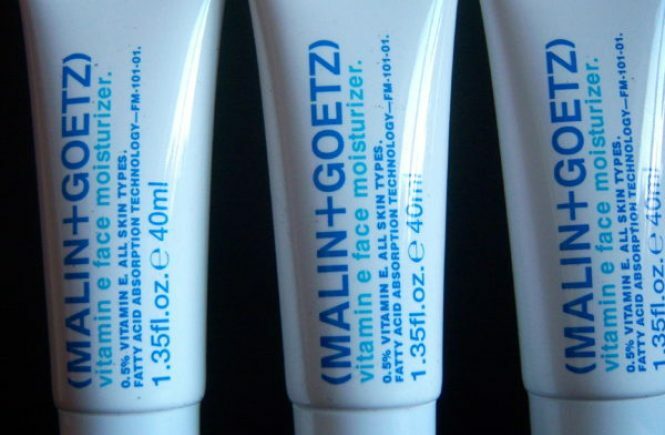 As for the results, my skin felt tight and slightly uncomfortable both morning and night after cleansing, and I have normal to combination skin with a t-zone during summer. Generally in the morning, there is less to cleanse as the body has been resting (and I do a thorough double cleanse with a lotion, serum, and moisturizer afterwards each night). I did a toner cotton pad test and there was more grime than expected, which didn’t make me happy. I decided to try again the next day, just in case I’d had a bad night, but the result was the same, grime on both sides of the cotton pad which means the product did not cleanse thoroughly, plus it left a small amount of tightness in the skin. 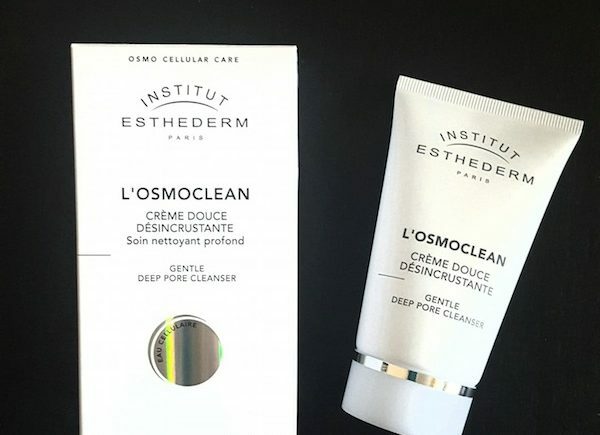 I didn’t feel or see any difference prebiotic wise, and hastily switched back to a trusted cleanser because applying serums and oils on a skin that is not properly cleansed means that they won’t work. The prime function of a cleanser is to well, cleanse, so forget about the superfood aspect, if it doesn’t cleanse what use are superfood and prebiotic aspects? 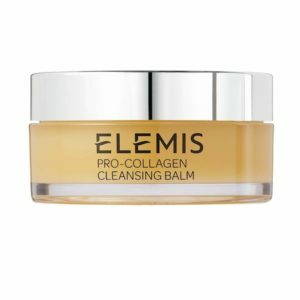 I’m comparing the results to the performance of other Elemis cleansers; Elemis Pro-Collagen Cleansing Balm (5/5) is a wonderful product that cleanses leaving no residue, soft skin, and no grime after my toner cotton pad test, and Elemis Nourishing Omega Rich Cleansing Oil that despite not being a fan of cleansing oils, cleanses perfectly and without any residue 4.6/5). 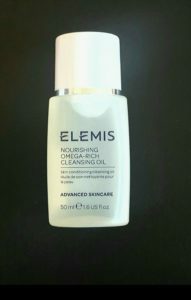 This new cleanser does not match the performance of other Elemis cleansers. Elemis customer service is well let’s say it could be better. They never reply to any of my queries, and I got one reply from customer services to say they had no samples and that I to sign up to the reviewer’s panel to get them. They did say once they had samples they would send me some, yet I have seem countless people with free sample tubes who are selling them on eBay (£14.95) and on beauty groups on Facebook, yet they are unable to provide a beauty blogger even a sachet to try. Somehow their PR and marketing need some attention, as ignoring emails and messages on social media isn’t good for business. 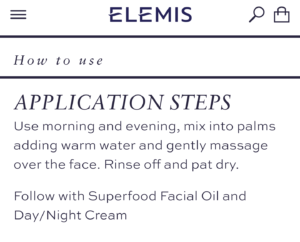 I read some of the reviews on the Elemis website and on their social media, and I’m not alone in finding the cleanser not as effective as one expects for £25. The problem with the reviewers panel is that people do like free products and are often worried if they write a bad review they won’t get any more, and thus do write more favorable ones. I bought this with my own money, and can write honestly about the results. It cleanses, but no better than my £6.99 Laidbare cleanser, which is comparable in that it’s a foaming cleanser that does a 75% job of washing my face. For £25 I expect 100%, and at best it does a 70-75% job of cleansing. I considered returning the product, however, Elemis don’t accept returns unless the product is unused and unopened unlike other companies who allow you to return a product (within a set period) if you are unhappy with it or have a reaction. Again, that is an area Elemis should reconsider to be in line with their competitors. Sadly, the poor performance of the product has deterred me from wishing to try the rest of the new range.